Our hi-tec coating procedures make it possible to apply layers of only a few 1000ths of a millimetre thickness. This ensures that you have a technological advantage in your daily production process. Our knives consist of a large number of different shapes and tooth profiles to provide the best solutions for any application. With our special designs we are a reliable partner even for the most difficult requirements. A company with innovation and tradition as its trademark. A company with innovation and tradition as its trademark. F-B-S is one of the leading manufacturers of machine knives for the food and packaging industry. 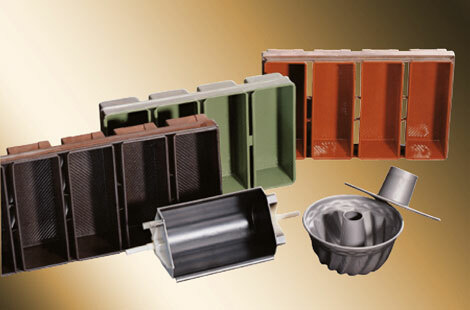 For more than 60 years F-B-S has been developing and producing high quality products with patented profiles. More than 25 years ago coating technology became part of our production activities. With support of DuPont, the Teflon® manufacturer as our partner, we became one of the leading suppliers for individual coatings in the food industry. A high performance of non-stick properties is essential in the enineering industry. There fore we offer a variety of ideal solutions with our coating technology and thus we are developing new areas of activities. Our product development has always been focussed on the improvement of our customers operational procedures. Only by following our principle of the importance of VOC (Voice Of Customer) we have been able to develop products suitable for their needs and to build up long-term customers relationships. Anyone who wants to be successful, needs a solid partner.